On Christmas eve, Shah Rukh Khan had a special gift for his fans. The Dilwale star has announced the sequel to his 2011 sci-fi hit, Ra.One. During an interview with the Deccan Chronicle, the actor said he would speak to Ra.One director Anubhav Sinha about the sequel. 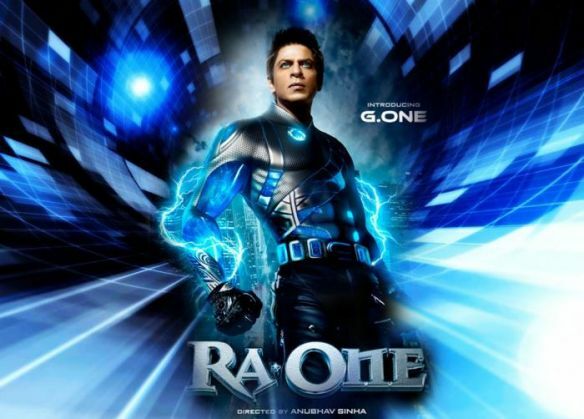 While Ra.One failed to impress audiences, it was appreciated for its visual effects and unique CGI work. Shah Rukh also told the daily that the sequel would be better made, considering the advancements in visual technology since his last film. Ra.One starred Arujun Rampal, Kareena Kapoor and Priyanka Chopra. Will it have the same team this time around? We'll just have to wait and watch. Meanwhile, Anubhav Sinha may soon be busy directing the sequel to his 2001 film, Tum Bin. According to a DNA report, Sooraj Pancholi may just bag a lead role in the film.